Lighting Returns, the upcoming Final Fantasy XIII title, uses a time mechanic. In the game, the world has only 13 days left before it ends. In a recent interview with 4Gamer, game designer Motomu Toriyama went into slightly more detail about the game's time mechanic. As mentioned above, the time limit in-game is 13 days. Square Enix is still nailing down how long one day is in real play time, but Toriyama mentioned that they're now thinking between one and two hours. However, when those 13 days are up, Toriyama said the game ends. That means that the way you use your time can result in a different play experience, even different cutscenes, from other players, making Lightning Returns sound like a time management game. What's more, it's not even possible to see all the cutscenes in one play through. According to Toriyama, this game structure makes it possible to offer a new experience. 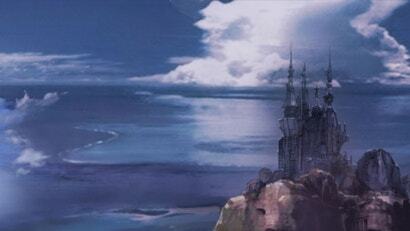 For more on Lightning Returns, read Kotaku's exclusive interview with the game's creators. Hmm not sure what I think of this. Personally hated the time management issue in Majoras Mask. What about those of us that do not like to replay games once we have finished them? I guess you don't have to buy it if it doesn't sound like your cup of tea... I probably won't, either. Toriyama did say 1 in-game day would roughly take 1-2 real life hours. 13 days = at the most 26 hours. Considering a game like Halo 4's campaign will take you around 5-6 hours to complete, I'd say that's pretty good. I'm enjoying Virtue's Last Reward at the moment, and part of the whole idea of the game is to play through it again and again. You will not get the full picture in one 2-3 hour game. This will be the same deal with Lightning Returns; each time you play will be different, with more storyline revealed and mysteries solved. The pressure will be on, and for some that may not be fun, but if you haven't been playing the FFXIII series up until now, you probably won't enjoy it anyway. Reserve your snarky comments until you've actually played the game. Nice example Teacup! I had a lot of fun exploring all the branching paths in 999 through multiple playthroughs, so a similar theme of discovery in FF would be very interesting. Final Fantasy Type-0 has a similar mechanic allthough your clock advances by watching cutscenes you havent seen yet, compleeting missions and going back and forth outside the perastirium so it only advances during your main story mission off time and makes shour that you have multiple playthroughs because you can't see everything in one hit. It actually worked really well so they probably decided to use it again. So in order to experience the full game I have to repeat the story over and over again instead of pumping 100 hours into a single playthrough? You're dead to me Square. 4gamer asked Toriyama if Lightning Returns will be as lengthy as its predecessors, to which he stated that the nature of the game warrants replaying to experience the “World Driven” game differently. The way that time flows in Lighting Returns, you may not experience everything in one play-through. Yujii Abe wants players to have an experience where they think: “Oh! I didn’t know that event occurred!” when on their next run. So seems like a progression from 13 (linear story) to 13-2 (branching paths and paradox endings) to 13:LR (I'm guessing multiple concurrent events and perhaps even multiple endings leading to a true ending??). I'll admit though it does sound tailored to series fans who would be keen to explore every inch of the world multiple times. There will be differences in each playthrough, but there will be similarities as well. How much it differs each time will be the critical factor in the games success. A repeat of a 30 odd hour story with a few new cut scenes or world areas for each successive playthrough really doesn't sound like great value imho. That's a lot of wasted time for a small benefit. Why can't Square just get back to telling great interactive stories without all the BS?? They really have lost their way. That's not the impression I got from this at all. Maybe I'm being hopeful but it sounds more like there will only be as much of a main plot as you let there be, exploration and plot developments are entirely up to you. Theoretically you could totally ignore the "main plot" if there even will be one and just explore the whole world for the 13 days. This makes me think of Shadow of Memories. Another game that had a set length of time in which to act but you hopped between periods and what you did in each affected the ending. I enjoyed that game, so I'm hoping that Square makes this the Last Crusade of the trilogy. On the otherhand, this main just be a mechanic to force us to replay the game over and over again.